Today we are going to talk about skin care. It just so happens that I ran out of quite a few things in my skincare routine all at once this weekend. As I was at Sephora repurchasing them (some for the third time), I decided it was time to let you all know what I’m using and what works for me. So, today we’re going to go over my skincare routine, and I’m going to give you details on all of the products and why I love them. If that’s something that interests you, stick around! First thing first, makeup removal. I believe this product has been featured before in an empties or a favourites post. This is my second jar of this stuff, and I’m over halfway through it (hence why the lettering is looking a little haggard in this photo). It’s a solid balm texture, and when you rub it between your fingers, it melts into a thick oil. I rub it on my dry skin, and it dissolves all of my makeup, and then I rinse it off. I find this much easier to use than most cleansing oils which tend to slip through my hands and love that it doesn’t irritate my eyes. The best part is that this is technically also a cleanser. Now, for someone with normal or dry skin, I would call this a one-stop shop. For me, I like to follow it with one of the cleansers I’ll talk about next. But, it is nice to know that if I forget that next step, no harm no foul. I love Murad as an entire brand. 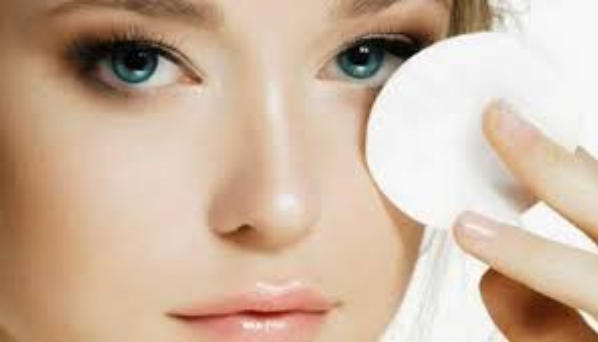 I was previously using the Clarifying Cleanser, and after my skin started to clear up, I felt as though it was time to take a step down in the salicylic acid. I like the formula of this cleanser. It’s creamy and doesn’t dry me out while still fighting to keep my skin clear. If you have oily skin but have trouble finding an acne cleanser that doesn’t strip your skin, I highly recommend checking this out. This is my second bottle of this cleanser, my 4th Murad cleanser, and my 7th skincare purchase from Murad, just to show you how much I love them. I recommend this brand to anyone looking for something new to try out. I just talked about this product in my recent Favorites post. If you’ve used the mask, you know that it’s pretty intense. 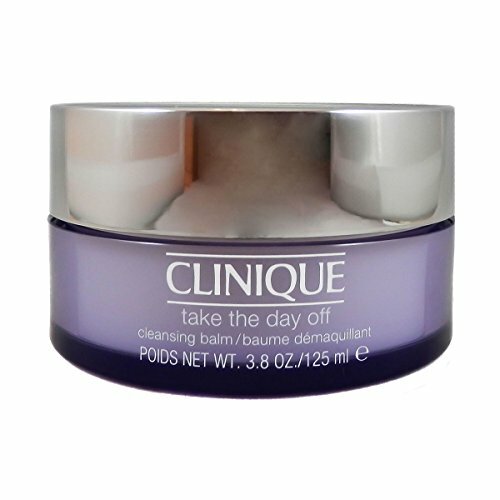 I love the mask for problem areas, and I use the cleanser much the same way. 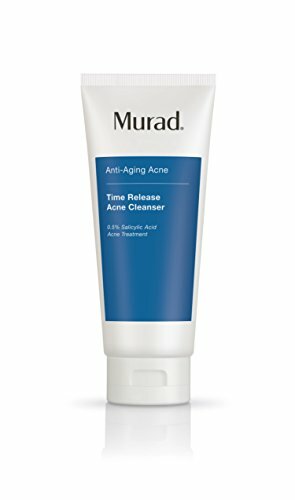 When I feel like my skin is extra congested or needs a little extra oomph, I’ll replace my Murad cleanser with this one. I use it maybe twice a week. If you read my favourites post, you know we have a sort of love-hate relationship. Here’s the thing. It’s…. so…. Messy. It’s this charcoal grey colour and it’s thick, and it just gets everywhere. Here’s how it works best for me. At night-time when I’m about to take a shower, I rub the product onto my dry skin (as instructed) and then step right into the shower. It’s much easier to control the mess when you can rinse it off any surface it gets on. Then I wet my hands and continue to massage it in as it turns to a foamy texture, then rinse it off under the spray. It leaves me feeling extra clean and pulls out the oils and dirt from my pores. Again, unless you have the problematic skin, I wouldn’t recommend this as a daily cleanser. Another product from my recent favourites. I just picked up this full-size peeling gel this weekend. This is something I also only use a few times a week. This product is applied and massaged into the dry skin, and it visibly peels away dead skin and uncovers a smooth complexion without over-drying or dehydrating. It balls up on the skin before you rinse it away and when I use this my skin it just feels radiant and renewed. 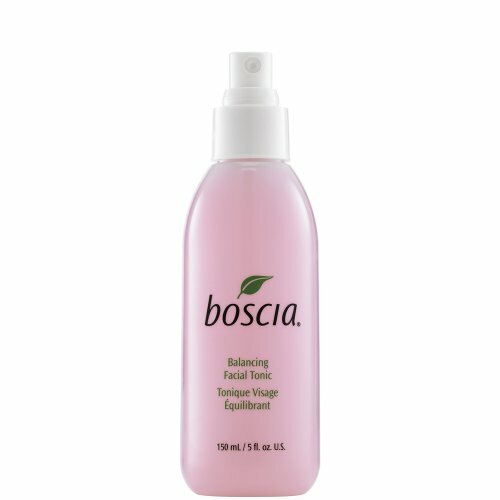 I have made no secret of my love for Boscia toners. The spray bottle is fast and convenient and super refreshing. I love the lavender scent and adding the tea tree oil in is like my secret super ingredient which keeps my skin clear and balances it at the same time. Toners just bring life back to my skin after cleansing and exfoliating. 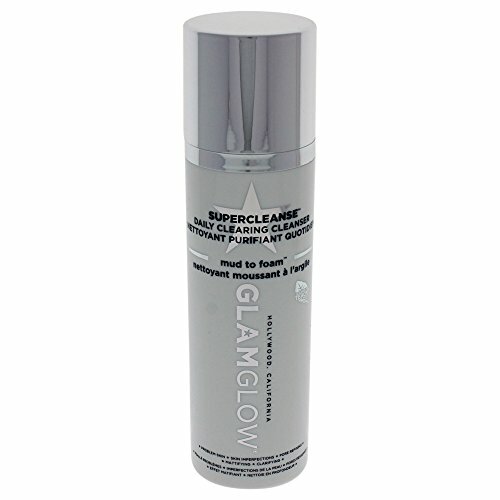 I find this step especially important after a heavy-duty cleanser like GlamGlow or if I use a mask. This is my first jar of this moisturiser but I’ve been using it for about four weeks now, and I’m enjoying it. 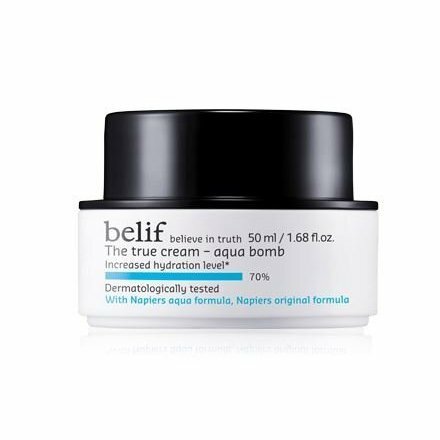 It’s incredibly lightweight and is marked for people with combo to oily skin (pick me! pick me!). It’s a gel-cream texture which is my preference and is free of mineral oils so it won’t clog pores. It is formulated with lady’s mantle, an anti-oxidant which helps neutralise skin-damaging free radicals and is also supposed to help minimise the appearance of fine lines and pores (according to the box). It absorbs quickly into my skin and leaves my skin feeling supple when I wake up in the morning. Quick absorption is also something I look for in a daytime moisturiser so that it doesn’t affect the longevity of my makeup. And, there you have it. I apologise that I don’t have any affordable products listed here today. 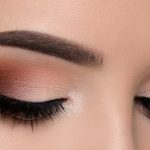 I usually try to keep a right mix of high-end and affordable products, but as someone with problematic skin, I have a hard time finding things at the drugstore that work for me. It ends up being more expensive and a waste of money to buy product after product at the drugstore and then not like them. This is what is working for me right now, and as I recently mentioned, I am finally happy with the way my skin is looking and behaving on a regular basis. I’ve been struggling with acne for what feels like the last 15 years, and I finally feel like I have it under control. I hope these recommendations help those of you with my skin type or problematic skin.